This book is out of print. It was published in full color large format hardback edition (5000 copies) of 320 pages (weighing almost three pounds!) in 2013. 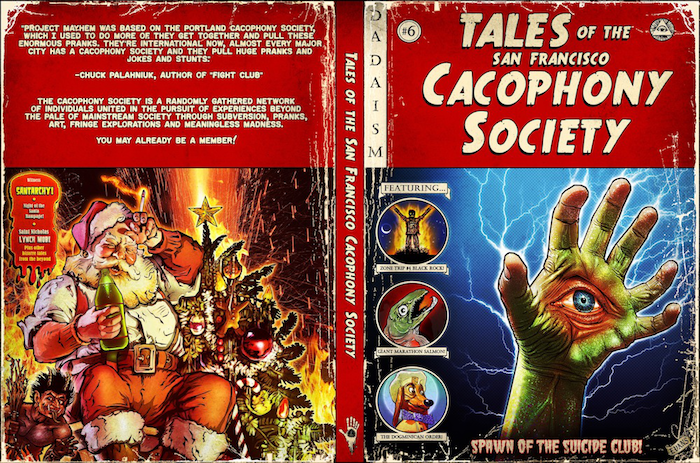 Our publisher Last Gasp of San Francisco is reprinting in paperback in a slightly altered version by the end of the year. This pdf is low rez but readable and the best I can do til the paperback is out. Please spread the word! The new edition will include a memorial page for Carrie Ann Galbraith RIP. 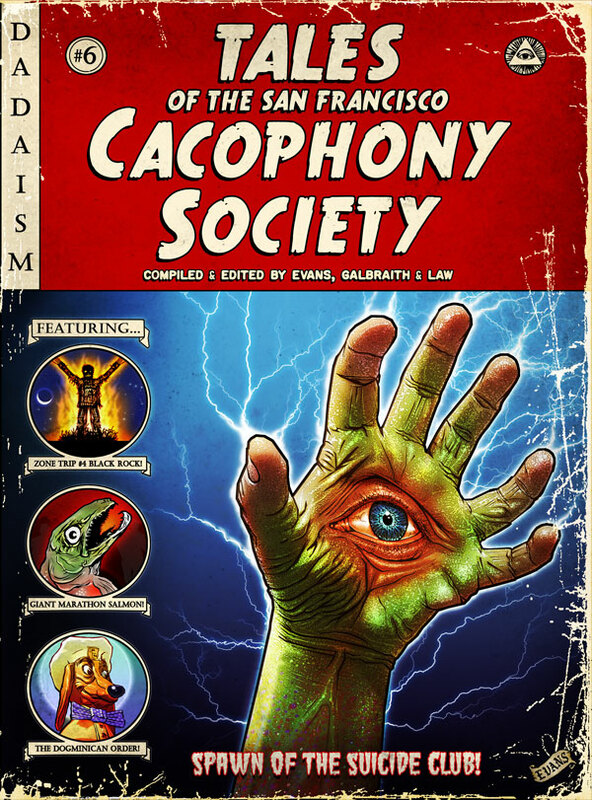 Carrie was the co-author and designer of this loving in-depth history of the Cacophony Society. One of her many contributions to Cacophony and the worlds of art, pranks and creativity was the concept of the “Zone Trip” the best known Zone Trip being the 1st Burning Man on the Black Rock Desert in September of 1990.